I don’t know why it had never occurred to me to make gnocchi out of pumpkin! I was flipping through one of my many Women’s Weekly Cookbooks (don’t scoff, they are quite good!!) and saw this recipe. Gluten-freeing it wasn’t so hard. I pretty much just sub’ed in the good ole GF flour. What makes this recipe a real winner is that it is great to make with a toddler. I thought that I was going to end up with some really crazy gnocchi, but I was surprised at how even they got rolled, and how much restraint was used in squashing them with a fork! This amount probably could serve about eight, depending on how much each person had!! 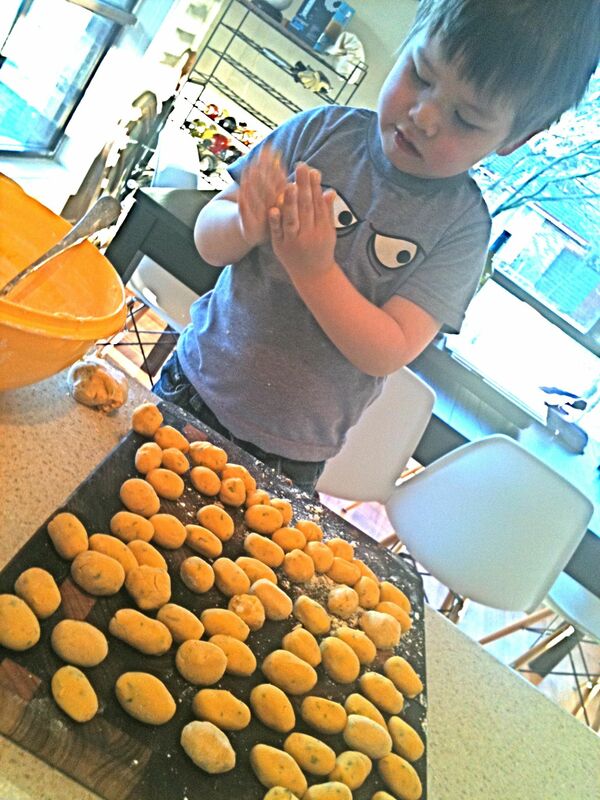 I actually weighed uncooked gnocchi balls out into servings of 100g (for toddler) and put them in small zipper bags to be frozen. I don’t defrost them before I put them into boiling water and they seem ok.
1. Cook your pumpkin and then puree in a blender. Leave to cool. 3. 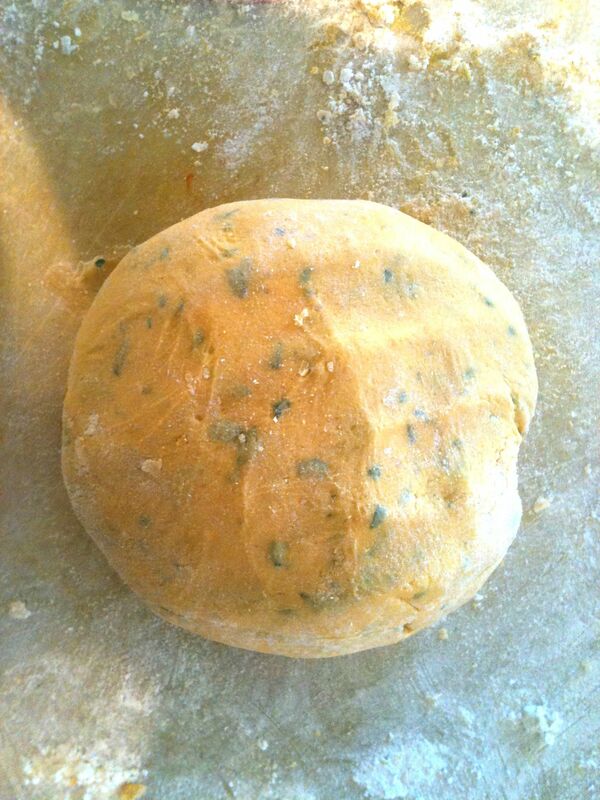 On a dusted board, knead the dough for a couple of minutes. 4. Roll teaspoon size portions into little footballs and squash slightly with a fork. 6. Cook gnocchi, uncovered in a large saucepan of salted and oiled boiling water until all of the gnocchi float to the top. 7. Serve with your favourite pasta sauce. I like a nice garlic laden passata. Well!! A little bit of food blog reading later I have come up with an answer- Gnocci in general can be made without egg. 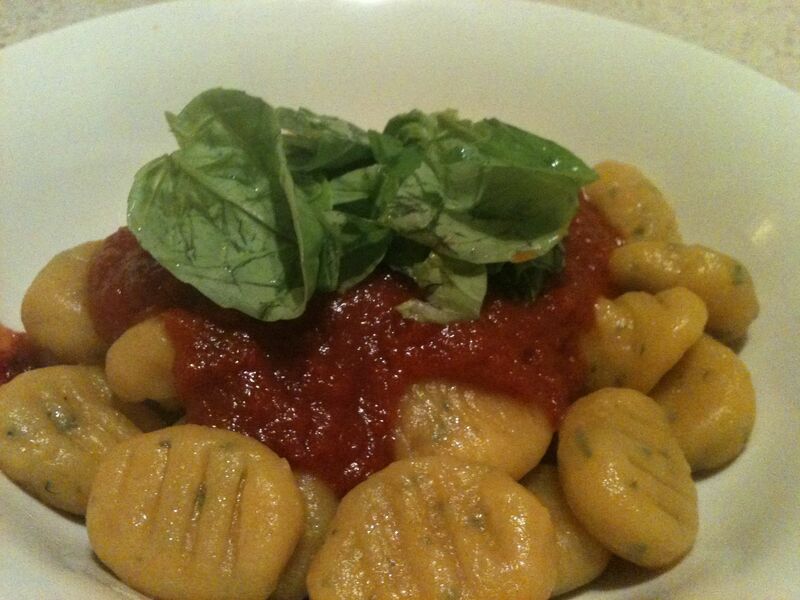 Some people feel that the egg makes the gnocci tougher. 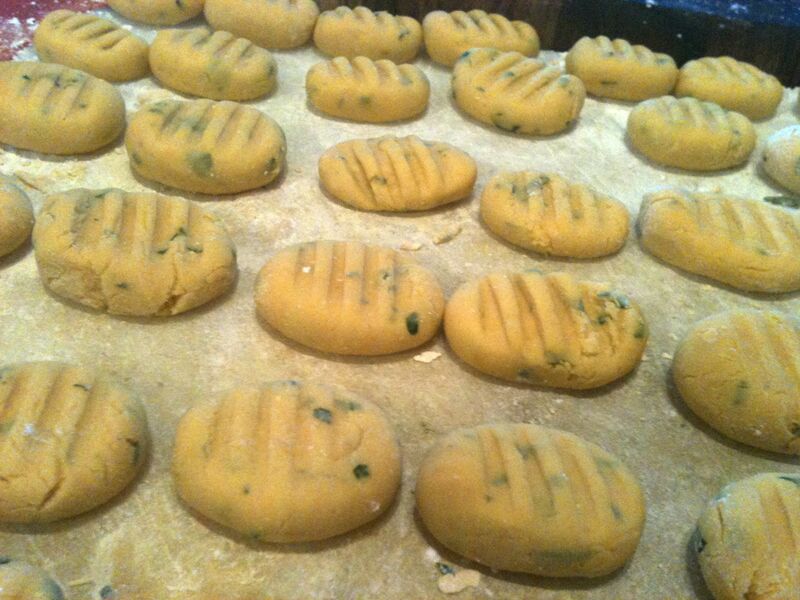 This gnocci was pretty tough (probably related to the GF flour), so could do with some un-toughening. Some people even suggested that tradtionally gnocci was not made with egg at all. So, give it a go and let me know how it turns out!